The Krugerrand Golden Jubilee: 1967 – 2017 book set comprises of the newly-launched Krugerrand Golden Jubilee: 1967 – 2017 book, accompanied by the 2017 1 oz gold Krugerrand coin with a special 50th anniversary mint-mark. To celebrate the enduring value and 50th anniversary of the traditional known and trusted Krugerrand, we decided to produce the legendary icon in different metals in 2017. 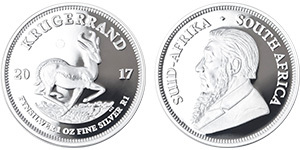 Silver has been a long awaited and anticipated choice, as it is more affordable than gold and therefore affords the opportunity to a larger market to own a Krugerrand which is highly collectable yet more affordable. 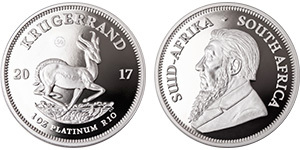 This is the first time a Krugerrand is issued in silver. 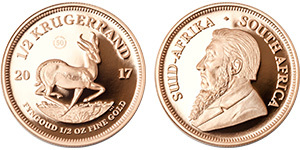 Due to legislation and because it is non gold, the 1 oz fine-silver Proof Krugerrand features a denomination of R1. To celebrate the enduring value and 50th anniversary of the traditional known and trusted Krugerrand, we decided to produce the legendary icon in different metals in 2017. Silver has been a long awaited and anticipated choice, as it is more affordable than gold and therefore affords the opportunity to a larger market to own a Krugerrand which is highly collectable yet more affordable. The Silver Premium Uncirculated is an even more affordable choice to the Proof, but still enjoys the benefits of being a once off coin produced as part of the greater 50th anniversary celebrations. This is the first and only time a Krugerrand is issued in silver PU and bears a special 50th anniversary mint-mark. 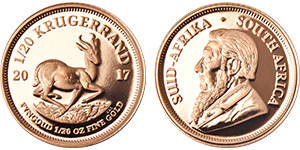 Due to legislation and because it is non gold, the 1 oz fine-silver Proof Krugerrand features a denomination of R1. To celebrate the enduring value and 50th anniversary of the traditional known and trusted Krugerrand, we decided to produce the legendary icon in different metals in 2017. A natural choice was platinum, as South Africa has the largest reserves of this precious metal in the world. This is the first and only time a Krugerrand is issued in platinum, and it is appropriately limited to only 2 017 pieces with a special 50th anniversary mint-mark. 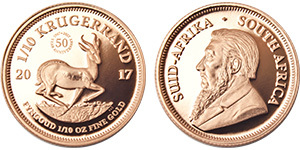 Due to legislation and because it is non gold, the 1 oz Platinum Proof Krugerrand features a denomination of R10. The 50 oz gold proof Krugerrand coin is the most monumental offering thus far, taking its position as the flagship offering of the 2017 Anniversary Collection. Issued in 50 oz for the first and only time in 2017 as part of the greater 50th anniversary celebrations, the coin symbolises an ounce of gold for each year being celebrated. 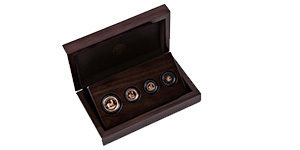 It comes in a very appropriately limited edition of only 50, with a 50th anniversary mint-mark and packaged with additional value added items to make this one of three premium anniversary products. The 1967 1oz vintage coin is a re-issue of the first Krugerrand struck in 1967, made from dies manufactured using the original tooling. It is issued in a limited edition of 1 967, and bears a special 50th anniversary mint-mark. 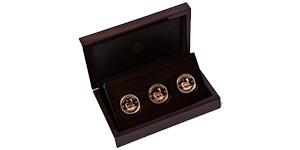 The 50th anniversary 22-carat 1 oz gold proof Krugerrand coin forms the crown piece of any collectors’ treasury as it is backed by 50 years of experience in crafting the world’s most iconic coin. It is a standard issue 1 oz proof Krugerrand with the issue date of 2017 and a 50th anniversary mint-mark. The 1/2 oz gold proof Krugerrand was introduced in 1980 in an attempt to make Krugerrand ownership more affordable and available to a larger market. This coin is one of the classic members of the Krugerrand family, and stands as testament to the legacy of craftsmanship expected by collectors the world over. It is a standard issue 1/2 oz proof Krugerrand with the issue date of 2017 and a 50th anniversary mint-mark. 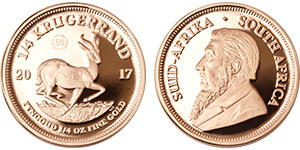 The 1/4 oz proof Krugerrand was introduced in 1980 in an attempt to make Krugerrand ownership more affordable and available to a larger market. This coin forms an integral part of the Krugerrand family and is a pillar of any complete collection with its delicacy of design backed by generations of craftsmanship. It is a standard issue 1/4 oz proof Krugerrand with the issue date of 2017 and a 50th anniversary mint-mark. 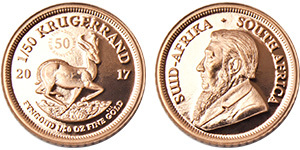 The 1/10 oz proof Krugerrand was introduced in 1980 in an attempt to make Krugerrand ownership more affordable and available to a larger market. As one of the iconic members of the Krugerrand family, the 1/10 oz gold proof coin rings together tradition, craftsmanship and distinction, making it the perfect homage to a 50 years of superlative coin design. It is a standard issue 1/10 oz proof Krugerrand with the issue date of 2017 and a 50th anniversary mint-mark. The 1/20 oz gold proof coin gives testimony of our ever evolving technology and legacy of unrivalled craftsmanship. This denomination is issued for the first time in 2017, with the aim to make Krugerrand and gold ownership more affordable and available to a larger market. The 1/20 oz gold proof coin bears a 50th anniversary mint-mark. The introduction of the 1/50 oz gold proof coin provides a glimpse at the future of intricacy and artistry, while commemorating 50 years of ever evolving craftsmanship and integrity. This denomination is issued for the first time in 2017, with the aim to make Krugerrand and gold ownership more affordable and available to a larger market. The 1/50 oz gold proof coin bears a 50th anniversary mint-mark. This set compromises of the 50 oz proof gold coin, a first in South Africa, as well as the official ‘Golden Jubilee’ Krugerrand book and stamp sheet. It gives any collector lucky enough to access this masterpiece the opportunity to understand the classic Krugerrand design in more detail than ever before. With only 5 of these sets available, it is the most exclusive coin set in the 2017 50th anniversary collection. 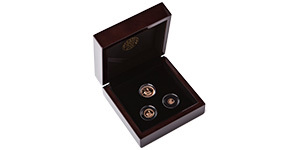 This set is comprised of three gold, one platinum and one silver coin. The 1967 1 oz gold re-issue, the 2016 1 oz gold proof and the 2017 1 oz gold proof coins show the collector how the mould has been refined over the years, giving greater detail and finish to the original. 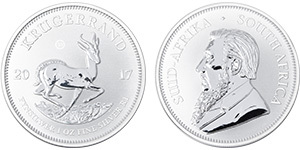 The platinum and silver 1 oz proof coins set the stage for the future diversity of the Krugerrand family. The new finish on the surface of the die showcases enhanced colour and texture, which can be beautifully observed in the three precious metals featured in this set. This set includes the 1967 1 oz re-issue, the 2016 1 oz proof and the 2017 1 oz proof coins. 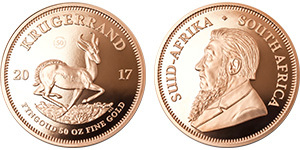 It allows collectors to enjoy the legacy of the 1 oz proof Krugerrand, from past to present and highlights the evolving technology and its role in elevating the execution of this iconic design. 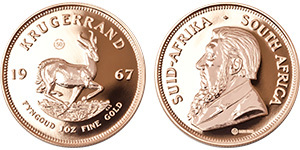 Each Krugerrand coin is minted in classic 22 carat gold, which speaks to the roots of the coin’s enduring legacy as the modern and enduring gold standard. 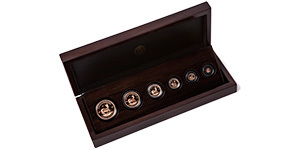 This set is a celebration of all Krugerrand sizes from 1 oz and below. The set includes the original 1 oz, 1/2 oz, 1/4 oz and the 1/10 oz gold proof coins, with the addition of the new 1/20 oz and 1/50 oz gold proof coins. With ever-evolving technology and our legacy of unrivalled craftsmanship, the new 1/20 oz and 1/50oz coins embody a delicate and intricate tribute to 50 years of iconic collectors’ coins. 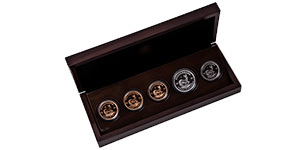 This set contains the 1/4 oz and 1/10 oz proof coins and the new 50th anniversary 1/20 oz and 1/50 oz proof coins. The fractional set is distinctive and authentic, reflecting a concerted focus on artistry and intricacy in this accessible collector’s set. The artistic process and craftsmanship behind the minting of these coins imbue them with exquisite detail that is amplified by their minute size and weight. The year 2017 marks the 50th anniversary of the first successful human-to-human heart transplant, performed by a team of around 30 surgeons – led by Dr Christiaan Neethling Barnard – in the Groote Schuur Hospital in Cape Town on 3 December 1967. Dr Barnard (1922-2001) studied medicine at the University of Cape Town. He completed his surgical training in South Africa and the United States of America. The recipient of the first transplanted human heart was Louis Washkansky, a 53-year-old with a debilitating heart condition. The donor heart came from Denise Ann Darvall, a 25-year-old who had been fatally injured and declared brain-dead after being hit by a car. Although Mr Washkansky survived for only 18 days after the operation before he died from double pneumonia, the transplant was a significant breakthrough for medical science.